No one is happy all the time, but if you feel like you’re unhappy most of the time, then maybe there’s something you can do about it. Beyond your circumstances, have you ever stopped to think about your habits and the choices you make and whether they may be contributing to your unhappiness? It might sound cliche, but the truth is that a big part of happiness comes from within and can be found by taking the time to realize it. 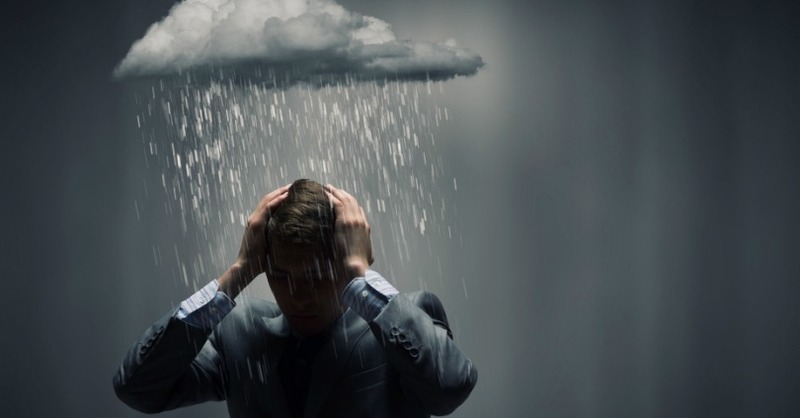 If you suffer with depression, keep in mind that is different from unhappiness and you should seek appropriate help. 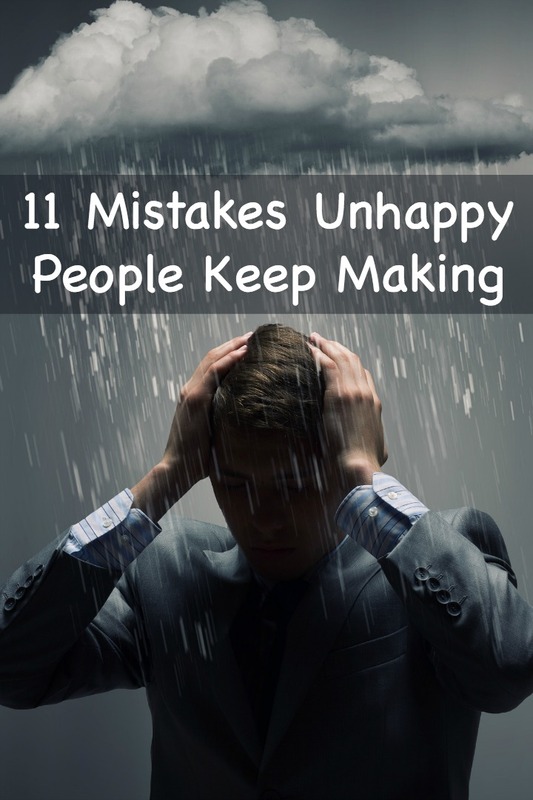 Below are 11 mistakes that unhappy people keep making. 1. Allowing your inner critic to rule. We all have that little voice inside that tells us we can’t do it or that we’re not good enough. Sometimes that little voice can even get loud and lie to us telling us we’re not deserving or that we are not lovable. The problem is that if we listen to that little voice above the truth, unhappiness will follow. To each criticism you hear from your inner voice, respond with a positive statement about yourself. Alongs those same lines, the biggest key to happiness is to truly and unconditionally love yourself. Most people don’t do this. Most people don’t even know how to do this. 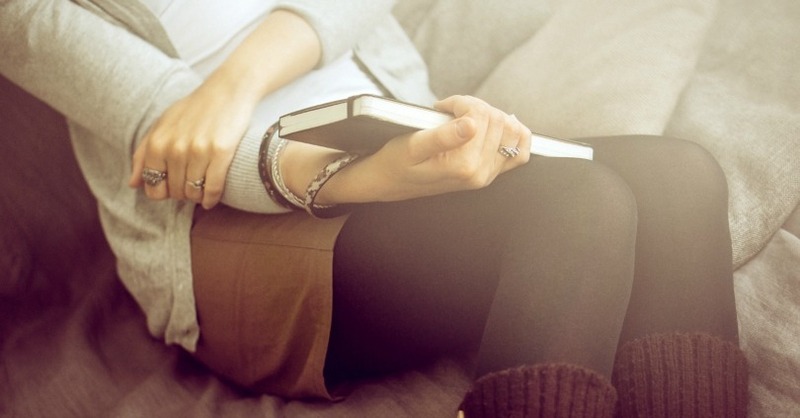 If you struggle with how to love yourself, a great resource is the book, Whatever Arises, Love That. 3. Allowing too many toxic relationships in your life. 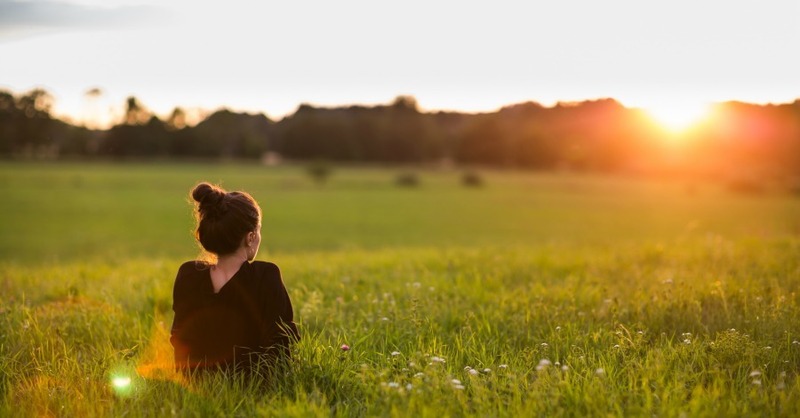 Toxic people can be tough to avoid, but if you have a habit of being in relationships with toxic individuals you can bet that this will lead to continued feelings of unhappiness. One of the biggest mistakes unhappy people make is staying in relationships with or developing new relationships with toxic people. Toxic people can cause loads of stress in your life and really bring you down leading to chronic unhappiness. 4. Dwelling in the past. Do you find yourself dwelling in the past? Do you replay the tapes in your mind of what you should have or could have? It is a great thing to learn from the past but if you dwell there and especially if you dwell in the mistakes, you can be sure to feel unhappy. Learn from your mistakes and forge ahead. One common mistake among unhappy people is a failure to take responsibility. They constantly have an excuse of why something is the way it is or why something can’t be done. To find happiness, take responsibility and drop the excuses. 6. Trying to fix other people’s problems. Your problems are yours to fix and other people’s problems are theirs to fix. It is not your job to fix the problems of others. Sure, it’s great to help out and it’s great to be there for other people when they are in need, but if you are taking on other people’s problems as your own, this will inevitably lead to constant unhappiness. 7. Trying to control things that are outside of your control. There is only so much that you can control in life and much of it is well outside your control. If you are a control freak, this will no doubt lead to serious unhappiness. If this is you, try riding the waves of life and going with the flow. You will find that not only it is okay to not be in control all the time, but that you feel happier when you’re not trying to control. 8. Focusing on all that things you don’t have. It is perfectly okay to want things. It’s fine to have aspirations and desires. The problem arises, however, if your desires for other things cause you to lose sight of all that is good in your life and all that you do have. Put greater focus on the things you do have over the things you don’t have. Do you find yourself not acting like and being the person you really are? Maybe you do it to try and please others or maybe you don’t express the real you because you’re afraid of rejection. Whatever your reason, not being the real you definitely leads to unhappiness. Not only that but shame arises as a result. If you want to start being who you really are, an excellent resource is Daring Greatly by Brene Brown. 10. Not forgiving and moving on. Holding onto grudges is one of the fastest routes to unhappiness. It has been said many times that forgiveness is not something you do for the other person, but that you do for yourself. Forgive and move on and you will find greater happiness. Note: Forgiving and moving on also includes grudges you have against yourself. Remember to forgive yourself too for whatever it is you wish you had done differently. 11. Sacrificing your happiness because of others. If you are constantly putting yourself last or putting the needs of others in front of your own needs, you will not only find unhappiness but burn out as well. It is great to be there for others – family, friends, co-workers and the like – but if you are sacrificing your happiness because of others, this is a mistake.